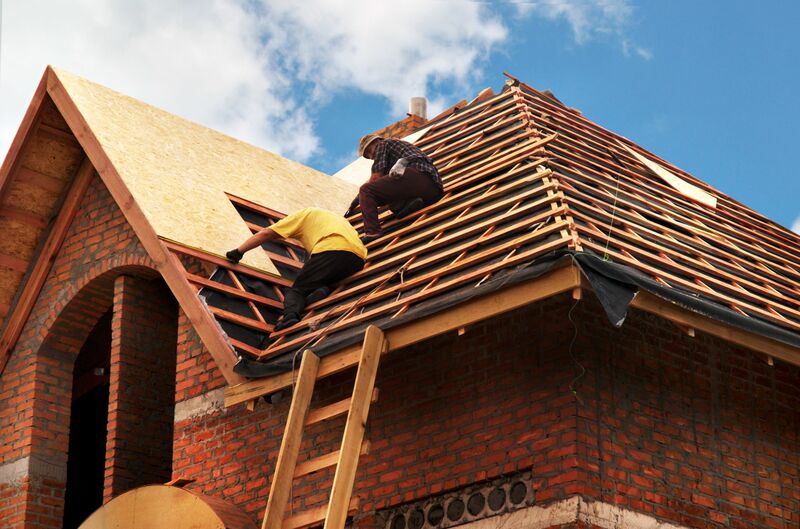 Looking to hire the best roofing contractors for you? When you're building that dream house, you may not hire anybody more important to your new home than the roofing contractors. The basic structure and durability of your home, after all, depends on the ability of the roof to protect the house underneath it from the elements. So you want to give careful thought to what commercial roofing contractors you're planning on hiring - you want the best for your home, don't you? But who’s really the best roofing contractor? When you look up their websites, it looks like they all are - they all have great deals, great ad copy, fantastic pictures of their work. How do you decide? Well, there are several basic considerations to hiring any kind of a professional roofing contractor. First of all, is he licensed, certified and insured? All roofing contractors who use better business practices are licensed and certified, and carry roofing contractors insurance. The state in which they work requires that they must have current, up to date certification and insurance not only as professional contractors but as technicians trained in roofing and construction. There are several certifications for such contractors; the most important is the NRCA, the National Roofing Contractors Association. Second question - if he is certified? If you visit the NRCA website, you'll discover a number of fine and professional roofing specialists, all holding certification in technical programs, safety training and professional development in roofing, architecture, manufacturing and consulting. Third question - is he close by? Now that you’ve visited found some names, ask you're the third question: Is he close by? This isn't a vanity question or one of convenience; it makes a huge difference in a contractor's fee if he must travel, with equipment, supplies and building materials, 45 miles each way, every day, to your site, as opposed to one who is located on the outskirts of town, a mile or so away. The savings in fuel alone, which you as a customer would pay the contractor for, can run several hundred dollars. Any well established and professional roofing contractor will be more than happy to provide references for his previous work - you should be able to see them clearly displayed on his website anyway. And if you can contact any of these references, so much the better, as they will have the inside information about how well the job was done. Chances are, of course, that if they agreed to list referrals on the contractor's website, he did an outstanding job for them. But it’s always better, and more reassuring, to hear first hand. Finally - what does he charge for basic materials? This might seem an odd question at this point, since you just met the guy; however, it does give you a focal point for checking his labor charges versus those of another website, or what roofing jobs he is proficient in, and his average charge. The material costs for a metal roofing contractor, for example, might be double that of a basic tile and insulation man. Hang on to those five questions. They're the best, safest way to literally keep a roof over your head.